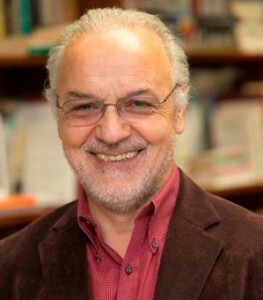 Peter Carravetta is Alfonse M. D’Amato Professor of Italian and Italian American Studies at SUNY Stony Brook. PhD in French & Italian from NYU. He taught at CUNY for over twenty years before coming to Stony Brook. He has been a visiting professor at universities in Paris, Nanjing, Columbia University, and Middlebury College, as well as a Fulbright Scholar in Madrid and Rome. The continuation of the Hermes project is dedicated to the politics of method and interpretation in Italy during the Cold War years. He is also at work on a collection of his writings on Italian American culture, and a book on migration and colonialism. Carravetta has lectured on contemporary critical thought (American, French, Italian), Italian American Culture, post-modernism, issues in higher education, and aspects of contemporary poetics and politics. Carravetta is also the author of several books of poetry in two languages and has given extensive readings. Carravetta is presently designing a new MA/PhD program in European Studies at Stony Brook University. It will have two specializations, one in regional literatures and cultures, and the other in globalization and migrations. The program is geared to foster professional outlets for its students through internships, study abroad programs, sponsored assistantships, and consortial agreements with other universities. If you’d like to contact Peter, send him an email here.